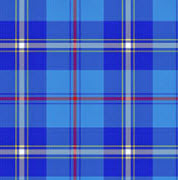 There are over 16 tartans associated with Clan MacRae. 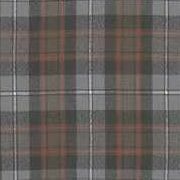 These tartans can be categorized as (Red) MacRae, Hunting MacRae, MacRae of Conchra or Sheriffmuir, and Dress MacRae, the newest tartan. 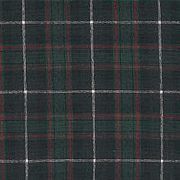 This page shows some of the most popular tartans worn today. Our clan crests are shown below. According to history, each Clan Chief wore a unique badge on his helmet during battle so that his followers could recognize their leader. 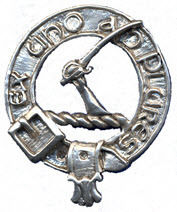 This badge is referred to as the Crest of the Chief and appears at the top of his Coat of Arms. 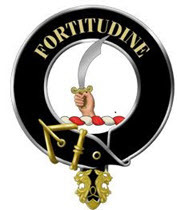 Anyone bearing the same name as a Scottish Chief or the name of a sept, is a Clansman of the Chief and has the privilege of wearing the Crest surrounded by a strap and buckle garter, which indicates an individual's allegiance to the Chief. As with other Scottish clans, our Coats of Arms include our Clan Motto and the symbol used in our Clan Crest. Coats of Arms are the personal property of the bearer, who is typically the Clan Chief. For this reason, members of Clan MacRae wear the Clan Crest, above, rather than the Coat of Arms.